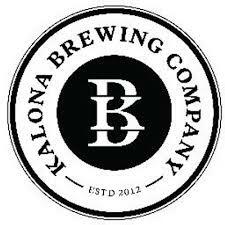 **Kalona Brewing Start-Up Stout** – I’m a sucker for great coffee beers as you’ve probably guessed and the folks in Kalona have brewed up a mighty tasty one. A great beer for winter months and excellent with your cocoa pebbles or your roast, Start-Up stout gives you the coffee you seek but if you let it warm a bit some chocolate shines through as well! **Toppling Goliath 2014 Assassin** – I have to thanks Sam @blackstoneic for putting together the Tap Wars with Surly v. Toppling Goliath or trying this brew would have to have been a continuous dream. So creamy and smooth and easily drinkable makes it easy to see why the craft beer world seeks this beer out. Hope I can get a bottle or two of their 15 or hopefully the great Sam Hall and Blackstone can create another gem of a tap takeover. 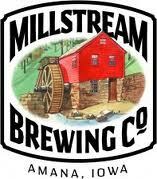 **Millstream Raspberry Latte Stout** – 3 stouts on one list? Blasphemy! The hopheads are probably getting pissed but it’s hard to ignore this one. Not only did Millstream nail this beer but it won the BARON FAMILY BEERFEST! Not many beers hold that acclaim so this is probably better than a gold at the Great American Beer Festival! Some folks have said too subtle on the raspberry, I think it is spot on. I get the perfect amount which makes this perfect for dessert or dare I say, another breakfast beer? **Confluence Ayana’s Rhino Rye Double IPA** – I hadn’t heard anything about this beer but was able to get one at 30hop in Coralville. Juicy hops shine in this beer with the rye and malt adding a nice balance to this brew. 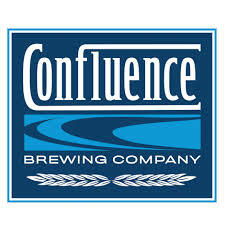 I want to try more Confluence brews and I need to get to the brewery, these guys are doing things right and it show! **Big Grove Anniversary Double IPA** – brewed for their 1 year anniversary you would think I enjoyed this brew at the brewery, but no! I found myself sitting in my lovely town of Mt. Vernon at Chameleon’s Pub and Grub when I notice a Big Grove tap handle. What beer is it? I asked. Their anniversary double ipa, was the response. After I climbed back into my seat after falling over I began to order 1, then 2, then 3, and then slowly stagger to the door. LOVED THIS BREW! 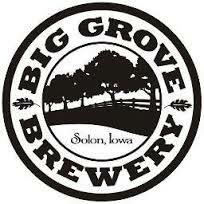 A recent tweet from Big Grove suggests another Double IPA tapping for tonight (New Year’s Eve)! Call me a homer, but Bill and crew at Big Grove are kicking out some the best tasting and most creative beers in Iowa, and for that I am thankful! Thoughts? Let me know your list!